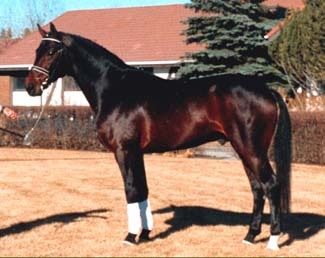 Warkanson stands at stud at Equitop Farm in New Norway, Alberta. Click here for photos or his pedigree - please note that all money earned and shown on the pedigree is in US funds unless otherwise stated. *Sign the guestbook! Let me know what you think of this site! The contents and photographs on this website are all ©Theresa Toews and Focus Design and are protected under Federal Copyright Law. They are not to be copied or reproduced in any form without express written permission of the owner.